I know that you have a "juris doctor" degree (hence, the "Dr." in your title) that you got by spending three long, hard years in law school. For those of us who don't have the time, money, or frankly, any interest in going to law school, can you tell us what you learned to save us the effort?" 1. The person with the better written records wins. - Seriously, if you show up with contracts, notes, specifications, video tapes, and blue prints, and the other guy says, "But Fred told me that a size 14 prawn shackle would be perfectly adequate to hold the weight of the transverse garbanzo beam." Who do you think that the judge and jury are going to believe? Keep good records, and you can avoid most disputes ever turning into law suits. 2. The person who should win at trial almost always does. - Judges and juries have a sixth sense about these things. At most trials, while studies confirm that the thing to which jurors pay the most attention is the lawyers' neckties, the outcome usually is correct and just. The Doc has great faith in the system. Once things get to appeal, however, all bets should be on the side with lots of money and lawyers. There is no more jury, and the rules get super complicated. As a dean of Villanova Law School once said to his students in the 1970s, "This is law school. If you are looking for justice, the chapel is down the street." 3. If the law suit is worth enough money, there is no paper too petty to file, or issue too inconsequential to be argued. - The legal process is pretty good at sorting out disputes where the amount to be won or lost is of the same general order of magnitude as the lawyer's fees for the case. Increase the "at stake" value to a very large number, and the entire system breaks down because there is no longer any question about the value of paying the lawyers more money to generate more paper and more delay. They're not supposed to do that, but in the real world, even the court rules get distorted by dollar signs followed by too many zeros. So there you have it! The Doc just saved you $150K and three years of your life. Of course, if you are in business today, it is just about a sure thing that you will get involved in a legal dispute at some time. There are alternatives to litigation, such as mediation and arbitration. Even a proper apology sometimes works wonders. When you find yourself in a dispute, give the attorneys at LW&H a call - they do all sorts of dispute resolution - and remember to tell them that you have great written records! Protecting recipes with the traditional tools of intellectual property is difficult. That's why so many valuable recipes are maintained by their owners as trade secrets. Thomas English Muffins, Coca-Cola, KFC Fried Chicken, Chartreuse, and Mrs. Fields Chocolate Chip Cookies are a few well-known examples. But that does not deter some people from pushing the envelope of intellectual property protection. Take for example, Ms. Carroll Moore who recently sued her former business partner for stealing (i.e., infringing) recipes from her published recipe book, which she had registered with the U.S. Copyright Office. Against arguments that her recipes could not be copyrighted, she maintained that her "recipe book" possessed sufficient creativity to merit copyright protection. The trial court disagreed and granted the defendants summary judgment without even reaching that question. Instead, it found that her recipe book and the purported infringing recipes were not sufficiently similar to be infringing. Apparently, this left a bad taste in Ms. Moore's mouth so she appealed the trial court's decision to the U.S. Circuit Court of Appeals for the Sixth Circuit where she fared no better. But this time the court -- relying on well understood legal precedents -- reached the question of whether her recipes were protectable under U. S. copyright law. The principle question considered by the court was whether a recipe book meets the constitutional requirements that copyrightable works be "original" and possess "at least a minimal degree of creativity." Remember, under the law, a list of ingredients is merely a factual statement and that the instructions contained in a recipe are merely functional directions, which do not deserve copyright protection. Although the court recognized that a compilation of recipes could conceivably possess enough originality to deserve copyright protection, it couldn't find any in Ms. Moore's recipe book. The court wrote that merely characterizing "how recipes are developed and further perfected," as did Moore, "does not identify a creative element of the recipes." According to the court, the "unoriginal" elements of a compilation do not deserve copyright protection. So, to prove that her compilation of recipes is copyrightable, Ms. Moore would have to demonstrate that her recipe book contained creative elements, a task that she failed to do. 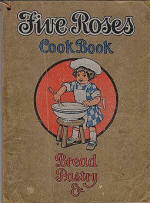 If a recipe book is not original, the defendants could not have infringed it. And that's it! What's So "Efficient" About Patent Infringement? In a recent editorial in the New York Times, Joe Nocera discussed "patent trolls" and the concept of efficient infringement of patent rights. Briefly, this idea is that large companies just ignore patents completely, taking a "so sue me" attitude, knowing that they have legions of lawyers who can wear down patent owners, and that even if the final ruling goes against them, the damages that they will be ordered to pay are lower than the cost of honestly negotiating the right to use others' inventions in the first place. In a capitalist system, this behavior makes perfect sense, and patents are not the only area of business where we see the adage, "It's easier to get forgiveness than permission" played out. With no real threat of patent owners shutting down infringing products with an injunction, executives made the "correct" decision - and they now just steal many patented inventions, inviting inventors to sue. When inventors sue, the companies call them "patent trolls" and drag the cases out, sometimes for more than a decade. This behavior is great for large companies and their shareholders. Not so much for small companies and inventors. For such small patent owners, the light at the end of the tunnel is just the onrushing locomotive, coming to crush their patent rights.